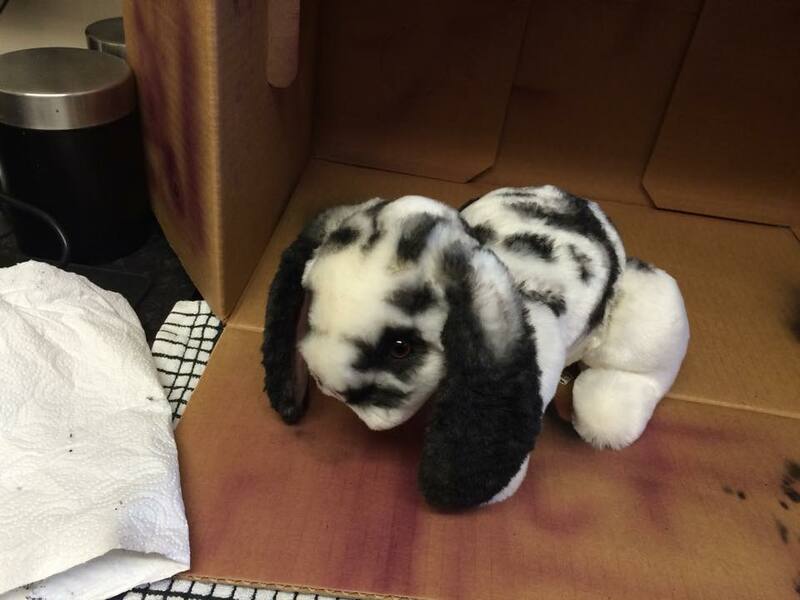 I’ve not posted for a while, so I thought I’d give you a craft fair and rabbit update. Claire’s craft fair at Edenthorpe Community Centre was a great day. 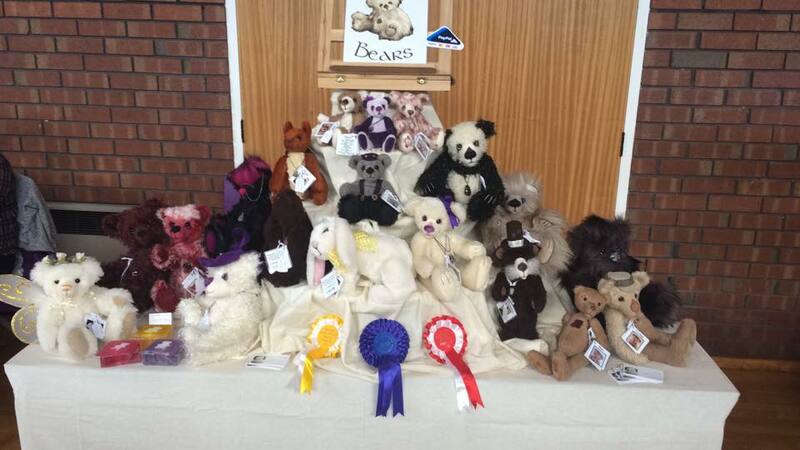 It is the shortest craft fair that I have ever done, at only three hours long, but it has also been the most successful craft fair that I have done. I had a nice catch up with my old boss and his wife, who went home with Bran. Not long after the fair had finished I got home to an email about Roxy, who went to go and live with her new mum on Tuesday. I do love it when I have happy customers! 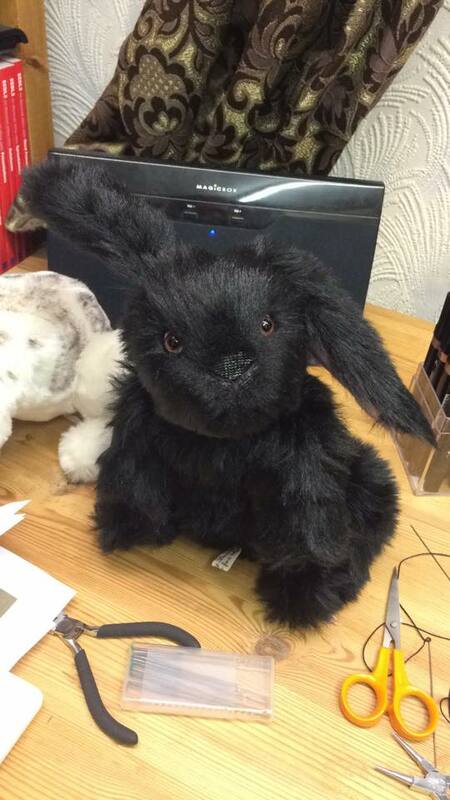 Do you remember the commission for two rabbits and that I have been working on them for the last couple of weeks? Well, they are finally finished, photo’s approved and they are going to live with their new owners on Saturday. I had to say I had fun making them both, but I definitely enjoyed airbrushing Walt. I still have their photo shoots to do tonight, but here are a couple of pictures of them (sorry for the lack of work in progress photos). 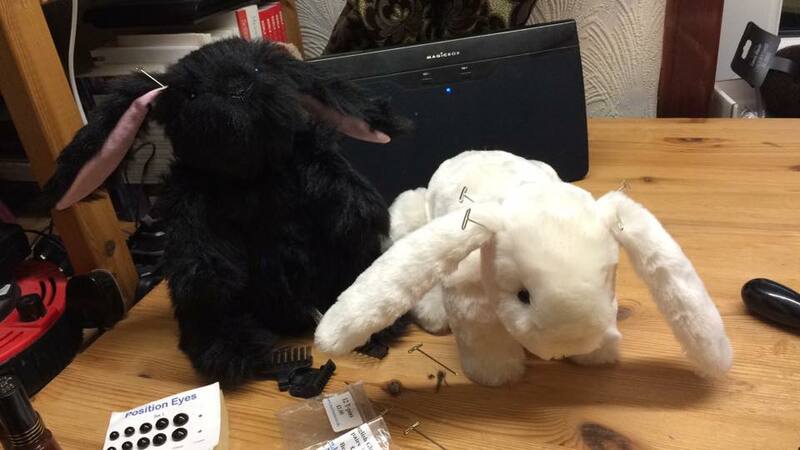 Now, my customer’s wife doesn’t know about them yet and they are made in likeness to the family pets. It will be a nice surprise for her and I can’t wait to find out what she thinks of them. Keeping fingers and toes crossed that she likes them.